All Oce Plotter Films, Vellums and Bond Papers reflect 88 years of sering engineers and architects. Inselecting any of these products, you can be assured of recieving the finest media in its class. Smooth surface, white opaque. 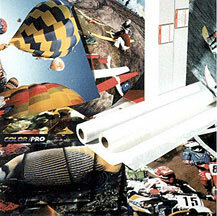 Application: Composites; Checkprints; artwork proof; and opaque copying.